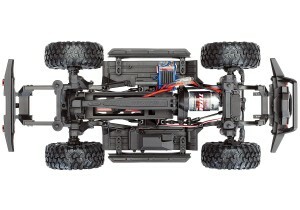 The TRX-4 Sport differs from the TRX-4 Defender, Bronco and Tactical unit. Instead of remote locking differentials and two speed transmission, the TRX-4 Sport features full-time locked differentials and a single speed transmission. Other differences include a TQ-2 2-channel radio system instead of the TQ-i radio system included with the TRX-4 Defender, Bronco and Tactical unit. 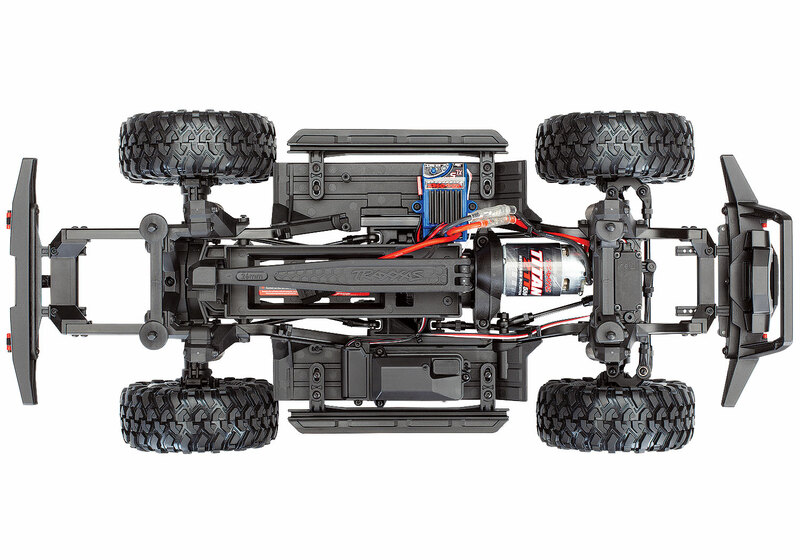 The TRX-4 Scale and Trail Crawler is equipped right out of the box with Traxxas’ game-changing portal axle set. 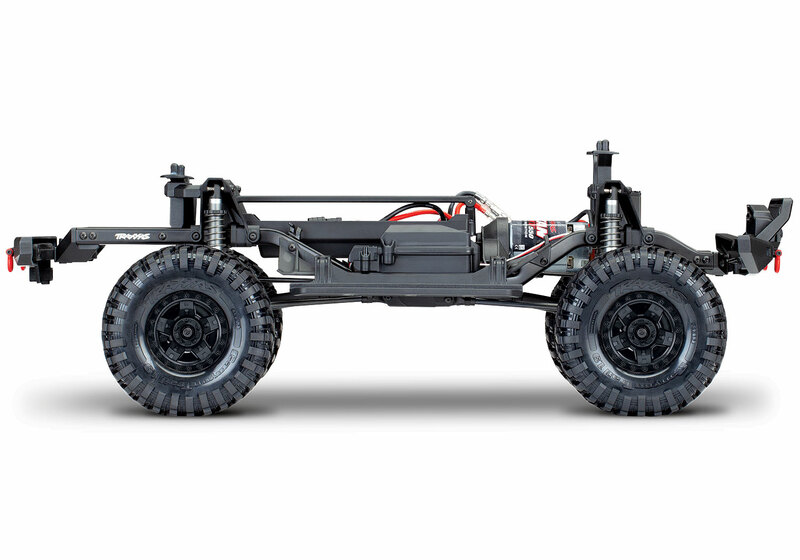 Portal axles lift the truck at the wheels for huge center pumpkin ground clearance. 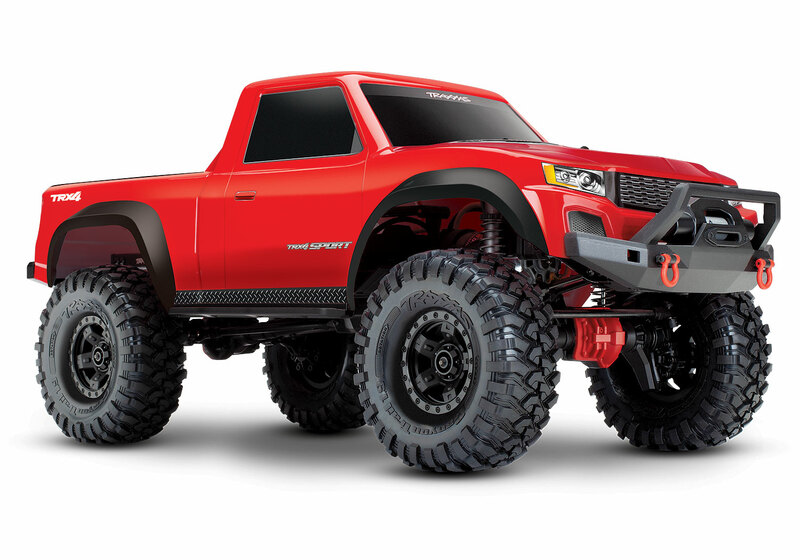 In order to achieve the same clearance with straight axles (and not get stuck), your tires would have to be over an inch taller than the TRX-4′s tires. Straddling boulders with ease, the TRX-4 chassis definitely takes the path less travelled and simply leaves all the others behind.